Thousands of patients choose Wallace Eye Associates each year for two key reasons. 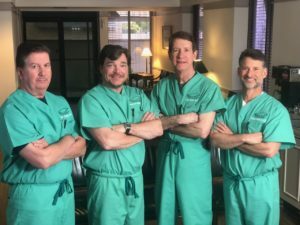 Our success over the years is a direct result of the quality team of eye care professionals who make up Wallace Eye Associates and The Wallace Laser & Surgery Center. The commitment by our team to provide patients the personal care they deserve from their eye doctor is surpassed only by our dedication to protect, preserve and restore your precious gift of sight. Wallace Eye Associates is staffed by a team of eyecare professionals dedicated to providing patients with excellent care to ensure the best possible outcomes. 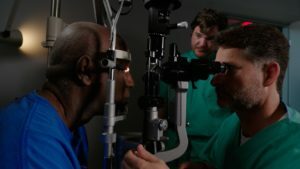 All technical personnel undergo extensive training and continued education including certification by the Joint Commission on Allied Health Professionals in Ophthalmology requiring rigorous written and practical testing. From the front desk to the business office, every member of our team will work hard to make you their priority throughout every step of your care. R. Bruce Wallace, III, MD is recognized as one of the most experienced and well-trained eye surgeons in the entire country. He has performed thousands of vision correction procedures and is board-certified by the American Academy of Ophthalmology and the American College of Eye Surgery. Fellowship-trained Cornea & Refractive surgeon, Russ Van Norman, MD is a Louisiana native and one of the state’s most experienced anterior segment surgeons. During his career – spent entirely practicing in Louisiana – Dr. Van Norman has successfully performed over 10,000 ophthalmic procedures, including cataract removal, laser cataract surgery, premium IOL’s, LASIK, Advanced Surface Ablations and sophisticated anterior segment procedures. Dr. Van Norman is a Louisiana native who completed his medical school training, internship and ophthalmology residency at LSUHSC in nearby Shreveport. Wanting to further his training after his ophthalmic residency, Dr. Van Norman embarked on a two-year fellowship in Cornea/External Disease and Refractive surgery at the University of Texas Southwestern in Dallas, TX. 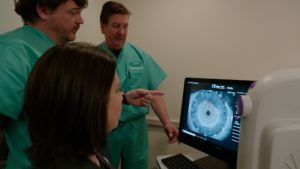 This extra education was critical in learning and implementing advanced techniques in corneal transplantation, cataract surgery, refractive procedures (LASIK). It also makes Dr. Van Norman one of the most highly trained Corneal specialists in the greater CENLA area. Dr. Van Norman is a member of the American Medical Association, American Academy of Ophthalmology, American Academy of Cataract and Refractive Surgery, the Cornea Society and the Shreveport Medical Society. Dr. Van Norman has held many roles in the medical community, including being a past President of the Shreveport Medical Society in 2016. In addition, he has previously served as the medical Director of the Northwest Lions Eye Bank. Wallace Eye Associates is recognized as a center of excellence by major pharmaceutical and medical device manufacturers. We are continuously sought out by manufacturers to conduct clinical trials on new medications and technologies.